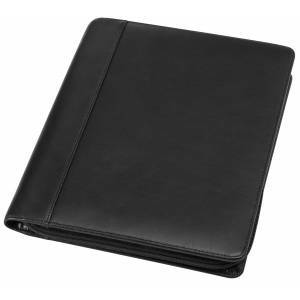 Bonded leather (approx. 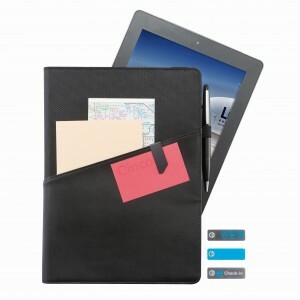 A5) zipped conference folder, includes different pockets, a note pad, and an elasticated pen loop (excludes pen). 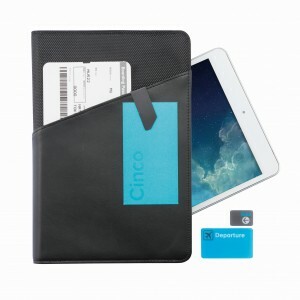 Unique design A5 portfolio with penloop and usb-loop, creditcard pockets and pocket to store your iPad. Including A5 size 20 pages lined note block. Packed in an Avenue gift box. Accessoires not included. Split leather. 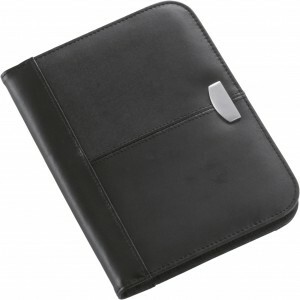 A5 Bonded leather zipped conference folder, includes different pockets, a note pad, and an elasticated pen loop (excludes pen). 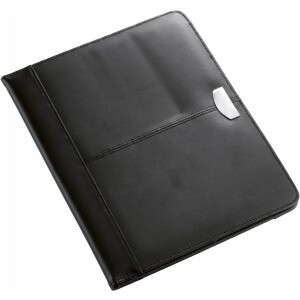 A4 Bonded leather conference folder, includes different pockets, a note pad, an elasticated pen loop (excludes pen) and metal engraving plate.